Cream cheese can be used in all sorts of ways, from spreading onto bagels to making a cheesecake. But delicious though it is, cream cheese is generally high in fat and saturates, which means lots of calories. 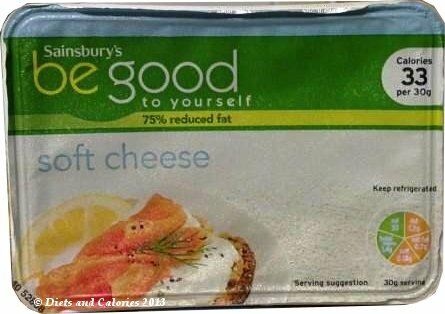 That is unless you choose wisely and opt for a reduced fat version - like this reduced fat soft cream cheese from the Sainsbury’s Be Good to Yourself range. 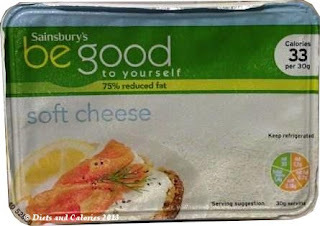 It has 75% less fat than Sainsbury’s standard soft cheese AND nearly 2.5 times fewer calories. 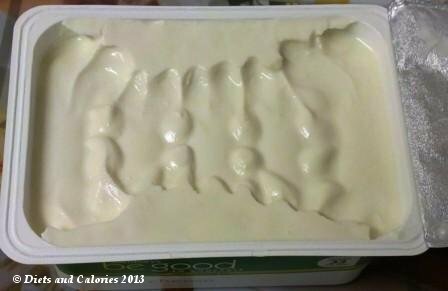 This cream cheese is an ideal option if you’re trying to lose weight or lower the fat and saturated fat levels of your recipes. 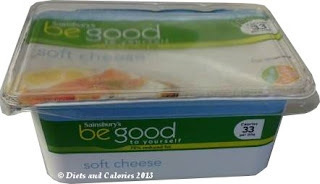 Sainsbury’s Be Good to Yourself soft cheese is available in a 300g tub and has a (1) mild rating. 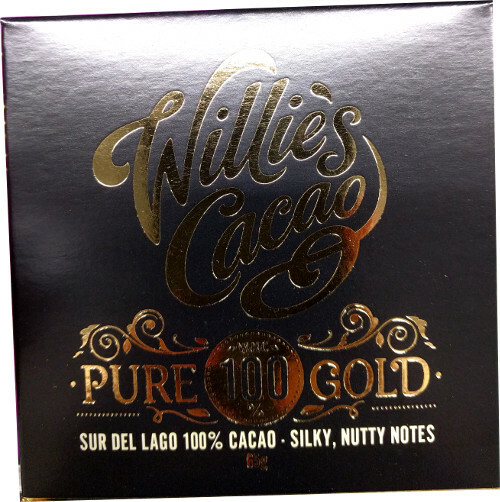 It has a smooth, but firm consistency and spreads well. 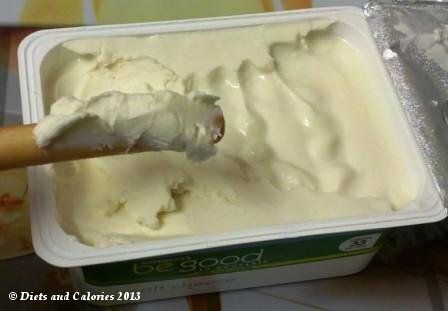 I like to use soft cheese as a spread for sandwiches instead of butter. It tastes especially good when spread onto a Warburtons Sandwich Thins and topped with some deliciously sweet, sliced cherry tomatoes. 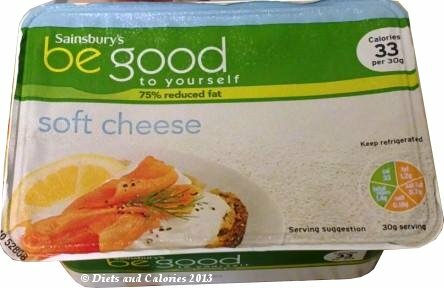 258 calories and 7.5g of fat per 100g, 77 calories per 30g. 156 calories and 3.4g fat per 100g, 47 calories per 30g. 110 calories, 4.0g fat per 100g, 33 calories per 30g. 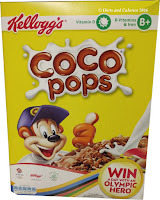 The only drawback I find with these tubs, is they have to be used within 3 days after opening. As I mainly use it as a spread, I rarely get through this amount. 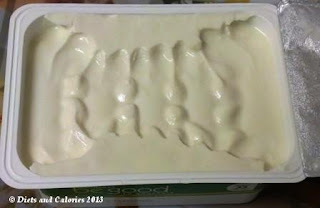 So it’s good if you plan on using soft cream cheese as a cooking ingredients, perhaps to make dips, desserts or a good old cheesecake. 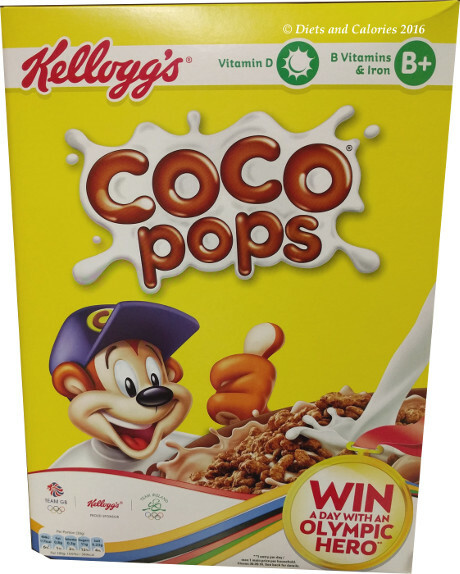 Nutrition information per 100g: 110 calories, 11.7g protein, 6.8g carbohydrates, 4.7g sugars, 4.0g fat, 2.3g saturates, nil fibre, 0.60g salt.